Carmen, one of our associate editors, is a Puerto Rican who lives in Puerto Rico. When Hurricane Maria first hit landfall on Wednesday September 20, 2017, I doubt she or anyone on the island imagined that they were about to experience the worst natural disaster on record to affect Dominica and Puerto Rico. Before the hurricane, I knew Carmen as many things: a warm and positive person, a devoted mother, an educator passionate about the Caribbean children's literature courses she teaches at the University of Puerto Rico at Humacao and exceptionally dedicated to her students, and an avid reader and researcher of Puerto Rican children's literature (check out her article, 'Puerto Rican Children's Literature and the Need for Afro-Puerto Rican Stories' in Bookbird: A Journal of International Children's Literature, and for a good overview of Puerto Rican children's literature, check out this 2014 interview with Carmen over on my website.) After Hurricane Maria, Carmen is still fully all of these things. In a country where so much has been lost and derailed, and most of the public libraries have been destroyed, she and many others continue to forge community, build resilience and reassure young people through the power of children's books. I've always wanted Anansesem to publish an issue devoted to Puerto Rican children's and young adult (YA) literature, but I never felt I was fully equipped to edit a Puerto Rican issue (I don't speak Spanish fluently for one) and other ideas took priority. Now, with millions of Puerto Ricans still struggling to rebuild and the rich tapestry of Puerto Rican life in danger of being reduced to "a single story" à la Chimamanda Adichie, an issue devoted to Puerto Rico's distinctive legacy of #ownvoices children's narratives feels more than timely. From the early jibaro tales and coqui stories, to the bilingual folktale re-tellings of Pura Belpré and trailblazing works by Fernando Pico (La Peineta Colorada/The Red Comb) , Georgina Lázaro (El flamboyán amarillo), Ángeles Pastor (the Por el mundo del cuento y la aventura series), and children's poet Andrés Díaz Marrero, to name only a few, to fresh new fiction by the likes of Pablo Cartaya, Ann Dávila Cardinal and other Twitter-savvy Puerto Rican migrants to the US mainland, Puerto Rican literature for young audiences is ripe for much wider recognition, essential for Caribbean children, and historically vital for building pivotal cultural bridges. 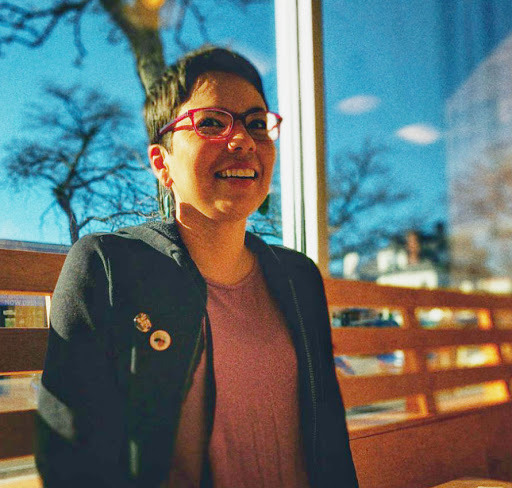 Small publications like ours struggle to meet our editorial needs, so we are beyond excited to announce that Sujei Lugo Vázquez—a US-based Puerto Rican children's librarian and PhD candidate who is well-known in the children's literature world for her advocacy and teaching regarding anti-racist and social justice themes in children's books—will be guest curating and editing our upcoming May 2019 issue. Check out my interview with her below to learn more about her and her vision for the issue, and scroll down to the bottom to read the issue's Submission Call in Sujei's own words. Sujei Lugo Vázquez is a former elementary school librarian from Puerto Rico, who moved to Boston, USA to pursue doctoral studies at Simmons University. Her research focuses on racial justice in children’s librarianship. She currently works as a children’s librarian at the Boston Public Library and is an active member of professional organizations such as REFORMA, ALA, and ALSC. She is a member of the Latinxs in Kid Lit blog and We’re the People Collective. Her body, heart, and mind constantly travel between Boston and Puerto Rico. 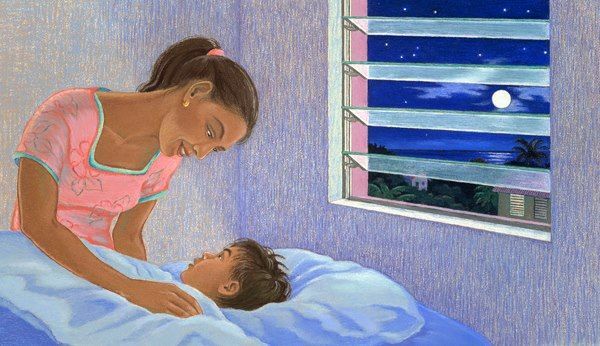 Summer Edward: Why do you think reading, writing and telling Puerto Rican stories is important for children and teens right now? Sujei Lugo Vázquez: Puerto Rican stories told and retold to my grandparents, parents, myself and our children were mainly filled with colonial perspectives and outsiders telling our stories, or insiders with internalized oppressions telling fractured stories. Digging outside the mainstream publishing world and school curriculum was a way to find our stories of resistance and empowerment, and perspectives of marginalized voices. Right now, we need to continue telling our own stories, in our words, so youth can challenge and re-imagine our past, present and potential future. There’s no single way of being Puerto Rican and living in Puerto Rico, and our political, social and cultural landscape keeps influencing and shifting our stories. We need to keep our children and teens up-to-date on these changes, and educate them about their role in writing and telling Puerto Rican stories. SE: What are you looking in terms of submissions to the issue? Is there a particular kind of writing that stands out to you? SLV: I’m looking for stories, experiences, literacy projects, words, and images that center works for youth, and with youth, in a post-Hurricane María Puerto Rico. The issue seeks to showcase voices and perspectives from the whole island, metropolitan area, rural areas, our coasts and mountains, and the islands of Vieques and Culebras. Educators, librarians, writers, illustrators, artists, activists, community leaders and community members mobilized and expressed their experiences and concerns in different ways regarding issues such as health, education, literacies, art, food justice, the environment, sustainability, power/energy, migration, and temporary relocations. I would like the issue to provide a glimpse of all of these local efforts, projects and activism for, and with, our youth. I'm not only looking for writing but also images that speak from hands-on experience and life in Puerto Rico. Pieces that readers could see and feel the sincerity, emotions and perspective of the creators using the language that best represents and portrays their voices. SE: Ultimately, with this issue, what message do you want to send to Puerto Ricans— young Puerto Ricans especially, but adults too—still grappling with the after-effects of Hurricane María, and to those who will read the issue? SLV: Our people might not be ready now to completely express ourselves, since we are still healing, coping, understanding and surviving the effects and aftermath of the natural, political and human disasters that Hurricane María made clearer. Our children and teens need to acknowledge that they have the experience and tools to control their own narratives, and that they can be expressed in many ways— through words, images, community organizing, and collaborative work. Their memories, experiences and reflections are all valid, and reflect not just an individual feeling, but a collective, intergenerational, and historical one. Literacy, education and children’s literature have played, and will continue to play, an important role in moving Puerto Rico and our communities forward, serving as vehicles of change, empowerment and resistance for our youth, and for adults that work with youth. Through this issue, I want readers to see activism and children’s literature in practice and to understand that our voices, and youth voices, can and should be heard. I want Caribbean readers to know that collaboration is intrinsic for (re) building communities, and that we should enhance our connections with our fellow Caribbean peoples. Anansesem is currently accepting submissions for our May 2019 issue. The issue will be guest edited by Sujei Lugo Vázquez, and will be titled Y este cuento (no) ha terminado: rebuilding, rewriting and resisting in Puerto Rico. The issue will spotlight stories, images, experiences, and projects in post-Hurricane María Puerto Rico connected to children's and young adult (YA) literature. We want to highlight local and community art, literacy, and storytelling efforts for youth in Puerto Rico; Puerto Rican children’s authors and illustrators' work and experiences; Puerto Rican/Caribbean youth voices and experiences in writing and art; and works that intersect children’s literature with any of the following: activism, art, education, the environment, sustainability, food justice, housing rights, colonization and imperialism, and re-imagining a new future for Puerto Rico. Poetry, short fiction and non-fiction, illustrations, comics, photographs, book reviews, and reflections are being accepted. Send in up to five poems, images, panels, and illustrations. Written pieces must be no more than 2,000 words max. We will accept .pdf, .docx, and .jpeg formats. Submissions are limited to Puerto Ricans, Dominicans and Caribbean peoples living in Puerto Rico. Works may be in English, Spanish, Bilingual and Spanglish. 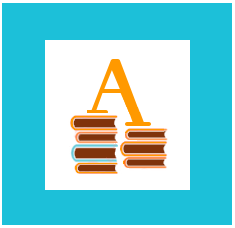 Include name(s), contact information and brief (up to 75 words) biographical notes. Send up to two submissions to sujeilugo@gmail.com with “Anansesem Puerto Rico Issue — Poetry” or “Anansesem Puerto Rico Issue — Prose” etc. in the subject line.